A cyber focused accelerated learning solution for the US federal marketplace that targets core knowledge gaps outlined by the National Initiative for Cyber Security Education (NICE). 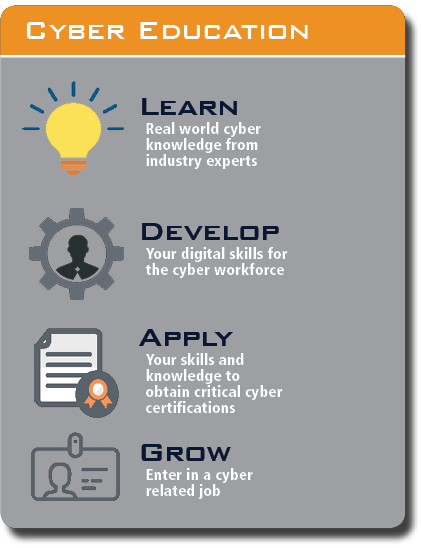 This learning solution is specifically tailored to prepare for critical cyber certifications as well as shaping the graduates to enter the US federal cyber workforce. Mission Focused! Tailored to meet cyber operational goals, National Initiative for Cybersecurity. CyberAcademy is unique! Where other training solutions focus on a single aspect of an individual’s development, we focus on the student’s real goal – getting a good job and a career in cyber! An accelerated learning solution meeting congressional mandates for the National Cyber Workforce initiative. The Academy aligns with the National Initiative for CyberSecurity Education (NICE) and specifically tailored for US Federal Government operational requirements knowledge transfer. Cyber workforce retooling and fast on-ramp learning solution for career development and placement within the cyber workforce. Targets core workforce knowledge and skill gaps within the National Initiative for CyberSecurity Education (NICE) framework and federal government environments. trains for the most in demand CyberSecuirty certifications supporting the National Initiative for Cybersecurity Careers and Studies (NICCS). networking, resume assistance, interview skills and shaping their online presence. CyberAcademy is an accelerated learning solution developed to maximum knowledge transfer. This innovative 21st century web based e-learning solution uses agile delivery models supporting both instructor lead and on-demand training. 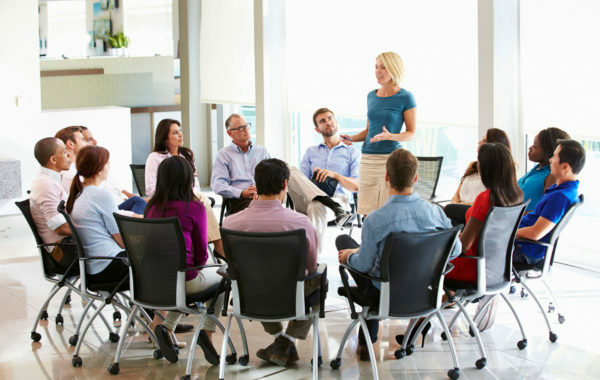 By blending both instructor lead and on-demand solutions, our training solutions increase the efficiency of workforce skill development while decreasing the barriers to training such as cost and availability. E-Learning or online learning offers numerous advantages for people who are juggling work, school and family commitments – none bigger than the ability of anytime, anywhere learning. CyberAcademy uses the latest online learning technologies to create an agnostic learning platform to support all digital environments (PC: Windows, Mac, Linux; Mobile: Android, iOS) giving the student true freedom of anytime, anywhere education.